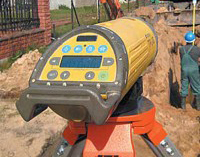 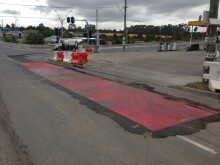 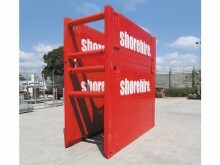 Panel gaps are provided on two faces to harbour trench runs into the manhole box, with provisions for trench sheeting to be added to close-off ends. 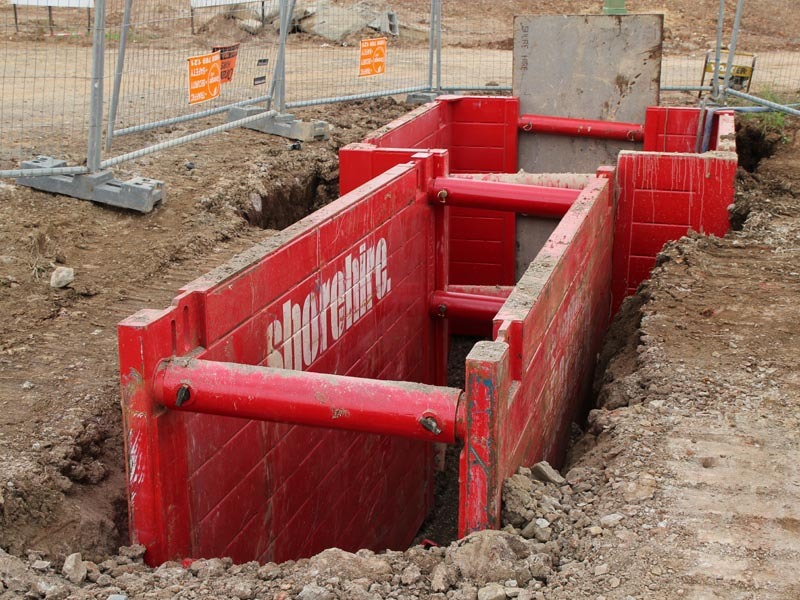 Manhole boxes come in knocked down form – enabling easy transportation and fast assembly onsite, whether it’s a pre-existing trench or, in loose and sandy soils, via a progressive dig and push method. 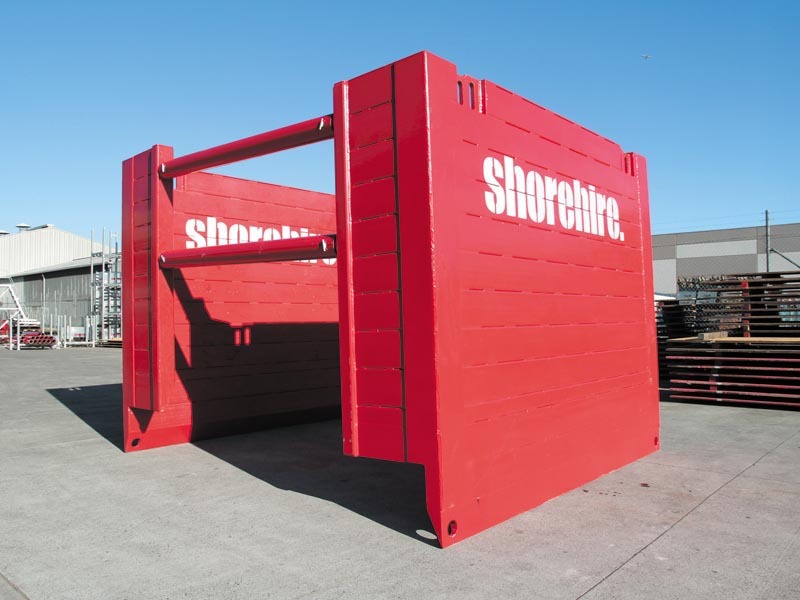 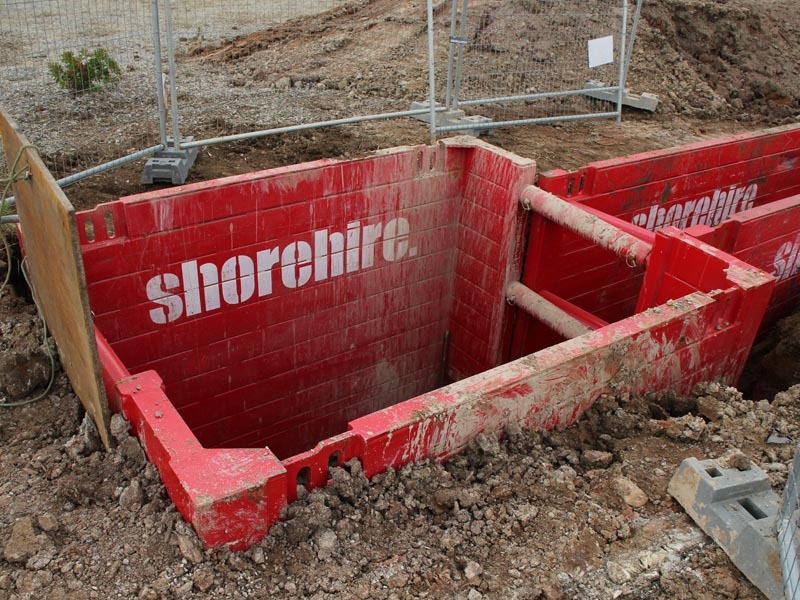 The Shore 3m Manhole Box is designed to safely and effectively support trenches up to any depth, provided that the working load limit of 50kPa is not exceeded.